Essential oils are one of the hottest trends in the world of health and wellness, and although the practice of using these plant-derived substances has been around for thousands of years, there has been a recent resurgence in their popularity. As more and more information regarding the adverse health effects of synthetic chemicals and artificial ingredients continues to come to light, people are looking for more ways to “return to nature”, so to speak, by incorporating natural and organic foods and products into their lives. One of the companies that has long been on the cutting edge of this movement is NOW Foods, a retailer of a wide range of natural foods and personal care products. As one of the health and wellness industry’s most recognizable brands, NOW Foods offers a bevy of essential oil products, which will be the primary focus of my review. Founded in 1968, NOW Foods is no stranger to the health and wellness industry, and in many ways it is one of the pioneers in the space. The company was born out of the entrepreneurial efforts of Elwood Richard, a chemist whom many have called the “Sam Walton of the health food industry”. He originally opened a chain of small health food stores (under the name “Health House”) back in the early 1960’s. This eventually prompted the creation of a full-fledged manufacturing company to supply his Health House stores with more affordable products. 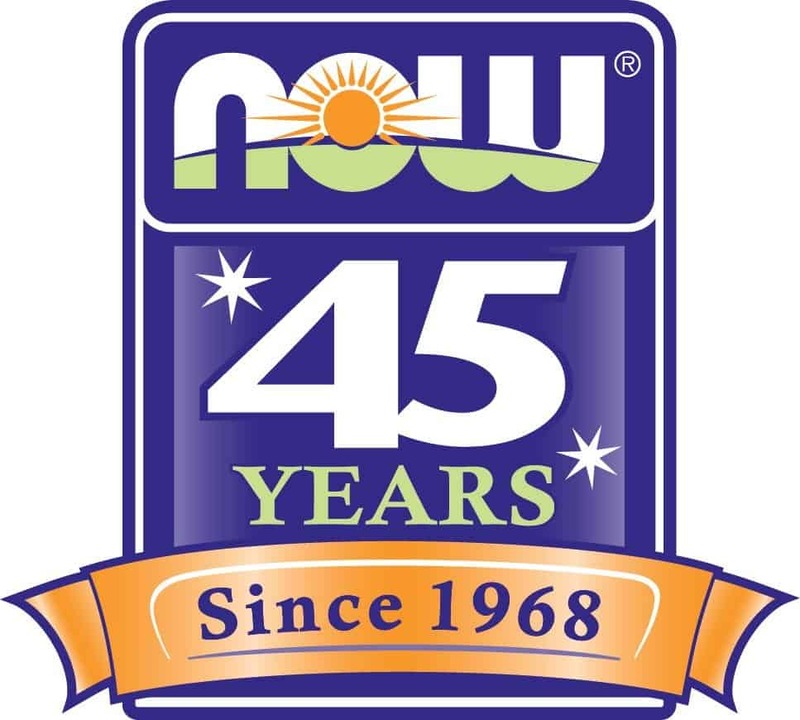 This manufacturing company eventually became what is now known as NOW Foods, and has earned countless industry accolades and awards over its 40-plus years of doing business. As a company with decades of experience in the natural foods space, NOW Foods has a significant leg up on the competition in terms of being able to source high-quality ingredients from growers and suppliers all over the world. Not only that, but they also employ an in-house laboratory furnished with state-of-the-art equipment that enables them to perform highly advanced analysis tests, such as Gas Chromatography (GC) and Infrared Spectrometry (IS). In addition, NOW Foods tests their oils for specific physical and chemical properties, including Specific Gravity, Optical Rotation, Infrafred Absorption, Refractive Index, Flash Point, Solubility, etc. These tests are designed to detect various impurities, contaminants, diluting agents, or other foreign substances in the essential oils, as well as to ascertain each particular oil’s “fingerprint”. The in-house testing that NOW Foods performs is in addition to the testing and analysis that they outsource to third-party laboratories, who then provide them with various certificates of analyses and specification sheet results. Only after the essential oils have passed through all of these rigorous tests will they be cleared for usage, to ensure that their products contain only the purest, most potent essential oils available on the market. In addition to their regular line of essential oils, NOW Foods also offers certified organic essential oils, which means that the plants and botanicals used in the making of those essential oils have been grown in soil that is free from fungicides, herbicides, pesticides, and synthetic fertilizers. In addition, their certified organic essential oils undergo a meticulous distillation process, which requires a very detailed set of sanitation and documentation procedures. From the research I’ve done, it appears as though NOW Foods essential oils are competitively priced. Keep in mind that the plants and botanicals that are processed in order to create essential oils can vary greatly from one plant to the next, not only in terms of their physical properties, but also in terms of how easy or difficult it is to grow and harvest the plant. Added to the above is the fact that some plants can only be grown in certain parts of the world, which means that they are less accessible in terms of obtaining a consistent supply for processing. What this all boils down to is that these factors do come into play when you talk about pricing. For example, bergamot is relatively easy to obtain and distill, so NOW Foods prices their bergamot essential oil at a reasonable level – i.e. $14.99 for a 1-ounce (30ml) bottle. Chamomile oil, on the other hand, is more difficult to extract, which is why a bottle of the same size – 1 ounce – costs $49.99. Just based on the research that I’ve done, however, I can say that NOW Foods offers reasonable prices on their essential oils. NOW Foods offers a diverse array of essential oil products, from single oils to various essential oil blends. The blends are perhaps of particular interest to a lot of people, because they are designed to enhance certain aspects of your health and wellness. For example, their “Good Morning Sunshine!” blend contains rosemary oil, orange oil, grapefruit oil, cinnamon bark oil, and peppermint oil, and is designed to put a little “pep in your step” first thing in the morning. Their website groups their essential oils into various categories based on their particular characteristics – e.g. Floral Scented Oils, Sweet Scented Oils, Woodsy Scented Oils, Spicy Scented Oils, etc., so, if you know what type of “vibe” you’re after, you can find the oils that will fit your preference. They also categorize their oils based on the particular health or wellness objective that you might have for the oil; for example, NOW Foods offers Relaxation Oils, Meditation Oils, Balance Oils, Energize & Uplift Oils, etc. In this respect, their product diversity is one of the best I’ve seen among the various essential oil companies I’ve researched. There is, however, one slight drawback that I need to mention about the way NOW Foods offers their essential oil products: Most of their oils are only available in 1-ounce (30ml) bottles, which is basically twice or three times the average quantity per bottle of most other essential oil retailers (typically 10-15ml). While this might not seem like a big deal to some people, to others this larger quantity per bottle means that the costs can begin to get prohibitive, especially if a customer is trying to buy several oils at one time just to try them out. Think about it: If you’re not sure whether or not you’re going to like a particular essential oil, wouldn’t you rather pay a lower price up front for a smaller quantity versus being stuck with a rather large quantity of an essential oil that you might end up not even using? While this isn’t necessarily a deal-breaker, it can keep some customers who don’t have much disposable income from being able to purchase a wider variety of NOW Foods essential oils. 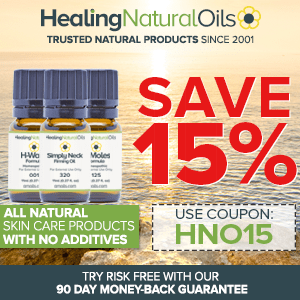 The NOW Foods website is quite large, and the Essential Oils section of their site is really just one component of their vast product lineup. Within the Essential Oils section, they’ve done a pretty good job of dividing the products into different subsections based on the aromatic characteristics that you’re after, or the health/wellness objective you’re trying to achieve. I found the website to be fairly intuitive and easy to navigate, and contains good information about using and benefiting from essential oils. Being a company that has been around for more than four decades, it’s obvious that NOW Foods understands the importance of good customer service. Their “Contact Us” page features several different channels by which you can contact the company for product questions, purchasing options and product complaints. They list the contact information for their three major offices (Corporate Office, Midwest Operations and Western Operations), and they also offer a Contact form that you can submit to address whatever concerns you might have. Long story short, they’ve got customer service sewn up rather nicely! With all of the experience that NOW Foods brings to the natural food industry, I would definitely call them a safe bet in terms of their essential oil products. Not only do they employ robust in-house testing equipment, but they go a step further by enlisting the help of third-party laboratories to verify the purity and quality of all of their essential oils. With this kind of meticulous effort invested into their products, along with their good reputation, I can give NOW Foods a hearty thumbs up.